When it's time to figure out the wording for your awards, a great idea is to include a relevant and inspirational quote. Here's a list of some of our favorite resources to use when you want to include a quote on the award. Imagine using a color photograph of a new product, your project team, a new facility or an honored leader in your next award design! Whether you're a small association or a large organization, there have been times when you've thought about using a photograph in your award. 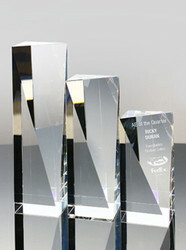 Engraving your logo and award text is free at Awarding You. There are no hidden fees, set up charges, or extra costs. New Green Crystal Star Award! 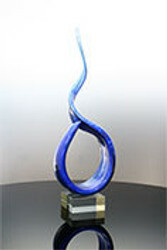 Add a touch of color to your awards program! We have the greatest customers in the world! "I need it fast....can you help?" 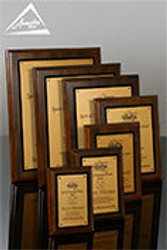 We get many, many phone calls each week that start with, "I need an award (or gift, or plaque, etc) in about a week. Is that even possible?" ABSOLUTELY! We have lots of options to help you get what you need in the time frame you need it. 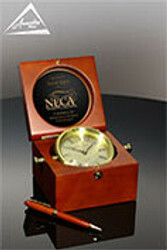 Is your company anniversary coming up: 10 year, 20 year, 25 year, 50 year or even 100 year? 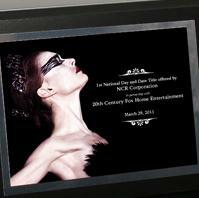 We've helped many companies celebrate these major milestones. 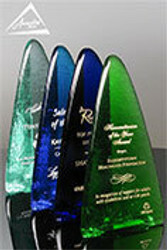 When you're looking for a large colorful award, art glass options can be an excellent option. We've added a wide variety of new art glass options in yellows, blues, greens, and reds. 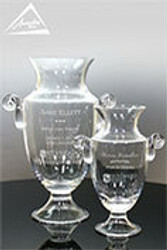 Art glass awards are hand-blown, and each piece varies slightly from the next. 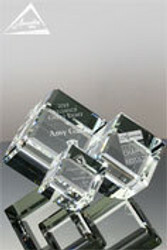 Blue crystal awards are extremely popular right now. 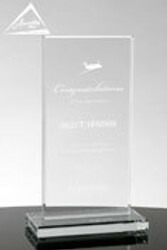 We’ve added many new designs to our product line this year, giving you many shapes and sizes to consider for your award program. 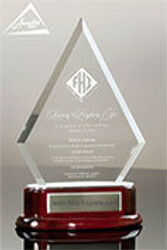 The addition of color to your logo can be a really striking touch to your award program. 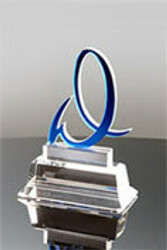 There are lots of options for getting your logo produced in color on your awards. 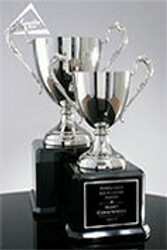 And in general we can recreate most logos in color by color-filling the engraved logo on your award.